What if someone isn't showing in my church registration group? What is a registrant's waiver/consent form status is PENDING? Why doesn't my leader have a completed background check or reference form? We have our own process of registering students through our church. Can I have parents register students through my church and then register all my students with the Network at one time? If a student doesn't come, do I have to pay for them? Can parents come and visit their kids during camp? If I'm the Camp Coordinator, do I have to attend camp? Can I send students without leaders? What do I do if I have a student who requires medication? Can I bring junior leaders as cabin staff? Can our group register with paper applications instead of online? What if a student and/or leader has dietary restrictions? If someone is not listed in your group, then they are not registered for camp. Why? It's possible that they added a registrant to their Brushfire cart, but never submitted the registration. They accidentally created their own group for registration, rather than joined yours. They haven't registered at all. Make sure everyone in your group clicks SUBMIT at the end of their Brushfire registration and FINISH at the end of signing their Docusign waiver/consent form. 2. You are responsible for every student and leader (applicant) waiver to be SIGNED and not PENDING. Why would it be pending? You are responsible for every student and leader (applicant) waiver to be SIGNED and not PENDING. The waiver email was sent to a junk mailbox and never received. A parent and/or leader started their form, but closed their browser before clicking "finish." The leader or parent hasn't opened the form to sign yet. Campers and Leaders CANNOT attend camp if the status of their waiver is PENDING. Waivers must be signed and completed BEFORE registration cut-off dates (see website), otherwise their registration is incomplete and void and they will be turned away at camp check-in. Background checks cannot be run UNTIL the waiver is complete. The status of background checks and reference forms are MANUALLY (not automatically) updated by NWMN staff, so processing may take a few days. We need each student's parent/guardian's contact info, email, and digitial signature attached to each student. Parents/Guardians must sign the waiver/consent form for their student; this cannot be signed by the church leader or any other leader, apart from the minor's legal guardian. Similarly, we require cabin staff to sign their own waiver/consent form and this cannot be signed by the church leader. The waiver/consent forms are legally binding documents and must be treated as such. Therefore, you can register your entire group at one time, but you MUST associate the parent's email to the student and the applicant's email to their cabin staff registration. Waiver/consent forms will be sent to these email addresses and must be signed by the parents of minors and personally by the applicant for cabin staff. If you decide to register students and/or leaders, please make parents and/or cabin staff applicants aware to check their inbox for the digital signature requirement email. You will be required to pay for each student and/or leader in your group. Unless you make the Children's Admin aware that there is a cancelation in your group, it will be assumed that all registrants are attending and will therefore, be listed on the invoice owed by your group. NWMN Summer Camps operate as a Closed Campus. Parents have the ability to drop off their student when camp begins, as well as personally pick them up at the end of camp, if arranged with the Children's Leader. However, parents are not allowed to come and go throughout the week, unless they register as cabin staff, complete registration, and digitally sign the waiver/consent form. Similarly, parents may not remove their student from the camp premises throughout the week. For the safety of our students and church groups, we strictly adhere to this closed campus policy. No. The Camp Coordinator is in charge of managing their church group, making sure all waivers/consent forms are signed, and payment is collected and sent to the Northwest Ministry Network. This does not require the individual to attend camp; simply, manage the group attending and make sure an adequate amount of leaders attend with the students (8:1 ratio). NWKids requires an 8:1 ratio of students to leaders. For example, if you send 9 boys, 2 male leaders will be required. If you send 8 girls, 1 female leader will be required. NWKids does not provide a surplus of leaders, but depends on the individual church to send adequate leaders with their group. If this poses a challenge, please contact the children's admin and explain the situation. Note: if you are not able to send an adequate amount of leaders, your group may be split up among differnet cabins, teams, and color groups, in order to lodge them with churches who do have enough leaders. Located on the Camp Coordinator page is a link to download the Medication Form. 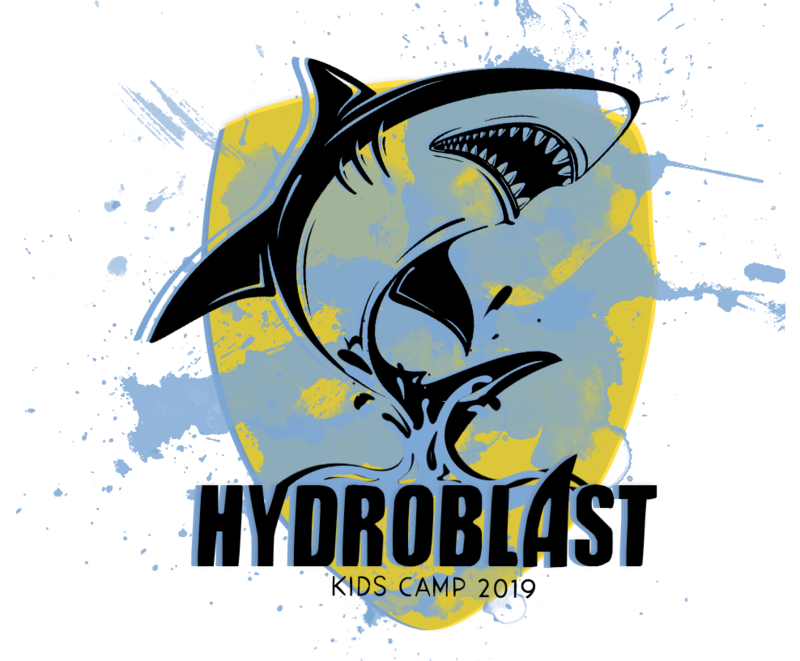 Have parents complete this form 24 hours prior to camp, listing the medication name, dosage amount, and dosage time. Bring the completed Medication Form and medicine, in the original prescription bottle in a Ziploc bag, to the camp nurse upon arrival. Students must have this form, in order for the camp nurse to have authority to administer medications during camp. The cabin staff, provided by your church and assigned to the cabin with said student, will be responsible for taking the student to the camp nurse's office for every required dosage time throughout camp. No. We require that all cabin staff be 18 years or older. Our registration process has moved online and we no longer provide paper applications. Since everything is online now, we wanted to provide an online system that is simplified and easy to use, putting the power in the hands of parents of students and cabin staff applicants! If your church has trouble with the online system, feel free to contact the Children's Admin for help with the process. An exception to the registration process can be made, only in extreme situations. The Children's Admin will determine whether an exception will be made only on a case-by-case basis. If students or cabin staff are unable to attend, please contact the Children's Admin as soon as possible to cancel their registration(s). A refund of 85% of the registration price is available up to the early registration deadline. After the early registration deadline, a refund of 50% is available until 72 hours before camp starts. In the case of sickness or emergency, please contact the Children's Admin regarding a request for a refund. Kids Camp EAST at Silver Lake - please contact your church and/or the Northwest Ministry Network listing the child's and/or leader's name, food allergies, special instructions, and list of alternative foods they will be BRINGING to camp with them. Silver Lake Campground does not prepare food alternatives for dietary restrictions, but they do allow use of basic kitchen appliances, such as a microwave or refrigerator, to accommodate specialty food storage and preparation. Kids Camp WEST at Cedar Springs - Cedar Springs campground has a specific Special Dietary Request Form listed on their website that goes directly to their kitchen staff. The kitchen staff can also be reached at foodservices@cedarsprings.camp. The best step is to fill out the online form and then email the kitchen if there are additional questions or concerns. Please also make your church and/or the Northwest Ministry Network aware of the situation.